It’s a new beginning—new ideas, new expression and a new author! 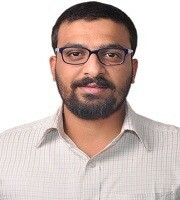 Himamshu—taking his first steps in the literary world through this book, was born and brought up in Hyderabad before relocating to Bengaluru at the beginning of his career. He is a Mechanical Engineer by profession and a person of varied interests ranging from military policy to music. He describes himself as a typical urban Indian- living in crowded places and fervently searching for his true calling in life. Writing happened to him by chance when he tried to write lyrics for his college’s band, but it set off a strong urge in him to continue for it was here that he found pristine happiness. He sees his works as avenues of expression and a path to an unknown destination- which he craves for from time to time. His writings are based on his experiences and his reactions to situations. 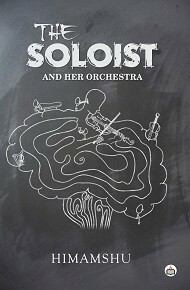 “The Soloist and Her Orchestra” being his first collection of poems is a mix of universal themes and imagination. The tone of the work and the point of view that he thrusts the readers into makes this collection, in his own words,“uniquely Indian but essentially global”.